To sail is to have fun! And you don’t have to be a pro to do so. Our sailing events let your dreams come true. 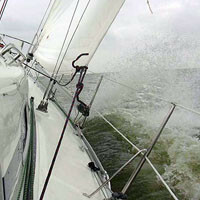 Let Sail as a Team teach you the sporty side of sailing on large sailing yachts. Take part in exciting sailing regattas. Or get on board of a beautiful classic yacht. Regatta sailing is pure adrenaline! 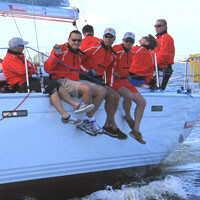 And sailing a regatta is not only subject to sailing professionals. Even a very beginner can take part and make his own first experiences provided competent guidance. Be a member of the Sail as a Team regatta crew! We take part in smaller regattas in wich fun comes first – although the fights for positions still are hard. Your colleagues are going to form different teams. You will be sailing fast sailing yachts. Every yacht will be skippered by a competent sailing trainer. Get your positions! Train the manoeuvres! After a few hours of training everybody is ready for the competition. A company match race. Yacht against yacht. Team against team. White hull. 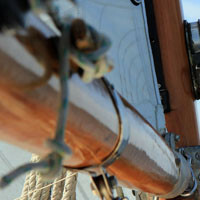 Wooden mast. Teakdeck. Nice shape. Beautiful. Out of reach? But not for you. Sail as a Team is going to organize a sailing adventure you will never forget. On board of these ships everything is a little bit bigger. And a little bit heavier. Booms and masts made out of wood. Big and heavy sails. Large winches, and thick ropes. All hands on deck! Get those large sails up! Catch the wind! Take a deep breath! And enjoy the beautiness of an old classic yacht. Interested In A Sailing Event?